At Ulysses we provide all our customers with full support to ensure they get the most out of the System. Whether it is setting up the System, generating reports or calling for advice, we are always happy to hear from you. All queries are logged allowing analysis of the issues raised, providing valuable feedback for system design. The help desk can be contacted via telephone or email, and it will always be answered by someone who knows the Ulysses system in depth. 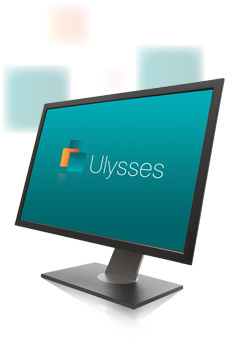 The Ulysses User Group meetings provide customers across organisations with a forum to discuss and concentrate on Ulysses in depth. There is always a focus on the systems, with demonstrations of new functionality and discussion of our plans for future development. Customer participation is key to these events, and all users are invited to raise topics before the event as well as during the day. If there are any national initiatives of particular relevance at the time of the meeting, we invite external speakers to join us. Typically at each meeting we focus on two or three modules that are closely related, such as Complaints, PALS and Litigation. This means that managers covering more than one area can attend for the whole day, others can attend the sessions relevant to their area of interest. The meetings are also held regionally and are strategically placed, so that all customers will be able to attend one of the locations. The invitation is extended to all users at the organisation who would like to participate. Ulysses has successfully implemented the Ulysses Risk Management Systems with many different organisations over the past ten years. As well as following formal Project and Change Management programs tailored to each organisation, we have great experience and understand the risks and factors that need to be addressed for successful software implementations. We work in partnership with you to ensure that Ulysses addresses the needs of your organisation. Ulysses provides full training at all levels and each training session is tailored to the requirements of the organisation. When a request for training is made, we discuss what you would like to cover on the day and who needs to be trained. If the training involves creating reports to a specific design, we’ll ask you to send us examples so that any preparatory work can be completed. Many organisations have benefited from advanced and/or refresher training for their staff that have been using the System for many years. At the implementation stage, a training package is put together with time frames and schedules for each day. Training can be given at your site, or at our purpose built offices in Havant, near Portsmouth. Ulysses is under a program of continuous development, with a team dedicated to its development and support. The development program ensures the software is future-proof, with plans for the short and longer term for every module. National initiatives, systems analysis and customer feedback drive forward the development, and upgrades are provided free of charge under the support and maintenance contract. For example, NRLS and SIRS compliance have both been delivered to our customers free of charge. We work with the organisation’s IT department to ensure a smooth update process. Release notes are provided with each update explaining all the changes, and there are examples to show you how to get the most out of the new functionality. “I just wanted to say, that I’ve always thought the Ulysses system is a very good system and over the years the support from Ulysses staff has been excellent”.